Ok... because some of you have shown some interest in this new ride; I've given it a forum of its own. I have a lot of information about this ride... so lets get started. 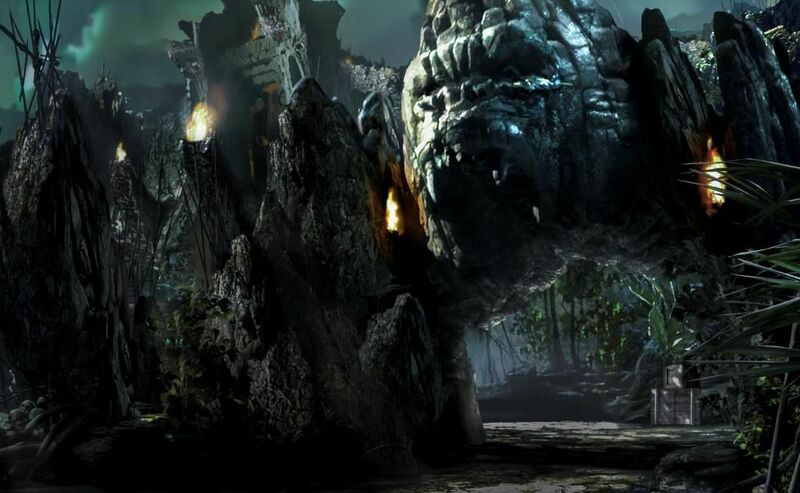 Skull Island: Reign of Kong will be a 140 + million dollar E-Ticket dark ride at Universal's Islands of Adventure theme park. It will combine 3D elements with practical sets and some of the most advanced animatronics ever built. The ride will be the longest attraction at Universal Orlando and will clock in at around 6 minutes. It will also feature both an indoor and outdoor section. Roughly 1 minute will be spent outdoors while the remaining 5 will be spent indoors. The ride has also been designed with a bypass track so that the ride can operate in inclement weather by skipping the outdoor section. A company called VDL containersystemen in the Netherlands developed the technology that the Kong ride vehicles will operate on. They will be self driving ride vehicles that will be guided by a very sophisticated WIFI navigation system. So no, their will not be any visible track or guide rail. Each ride vehicle will hold around 72 riders; with a total hourly capacity of over 2000 riders per hour. WARNING! FROM HERE ON OUT THEIR WILL BE SPOILERS!!!!!! IF YOU WANT TO BE SURPRISED WHEN YOU RIDE STOP READING!!!!!!! First off the que is being designed like a haunted house where you will encounter many hostile natives. It was designed with the help of the Halloween Horror Nights team and will contain scare actors. If you are interested in hearing more about this I recommend you tune into the Season 10 finale of Face Off on the Syfy channel. From what I've been told their final challenge is designing a very special costume for this attraction. Now onto the actual ride. Their will be 6 scenes on Kong (8 if you include load and unload) I know of 3 of them. 2 are confirmed... 1 is a rumor but is very likely to be included. The first scene I know of is the "Insect Pit." This is the rumored scene. From my understanding... this scene will not contain any 3D. All animatronics. I've attached a video of what you might be able to expect but let me warn you right now... Some might find this video disturbing. The second scene I know of is a smaller version of the Kong 360 3D ride at Universal Studios Hollywood. The third scene and the ride finale is a "Kongfrontation" with the big ape himself. Even though you will meet him earlier in the ride here you will really get to see him in his full glory. This animatronic will be massive and probably the most life like creature ever built. The company that made him has built a Kong animatronic in the past for the King Kong Musical... And let me tell you, as far as I know, this one will be even more impressive. I've attached a video of the one from the musical. As far as I know this Kong will not need anyone to operate him unlike the Kong in the Video. 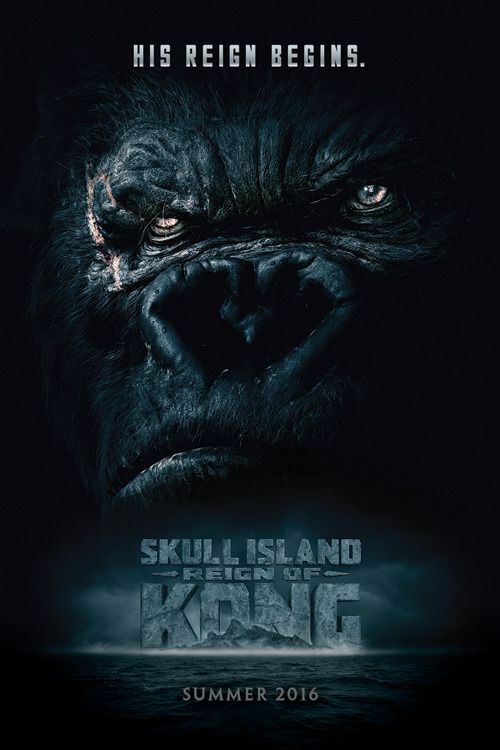 And that is everything I know about Skull Island: Reign of Kong. If you'd like to follow along on the fun i'd recommend visiting two websites: The first is http://mythexplorer.com/ It follows Erin Ryder as she rediscovers Skull Island... and the Remains of the 8th Wonder Expedition Company. The second is Universal Orlando's blog. http://blog.universalorlando.com/ They should on occasion release new information on Kong. As for an opening I've been told Kong should be doing Soft Openings in May and will be fully open in June. Hulk should have a similar time frame. Get excited everyone... 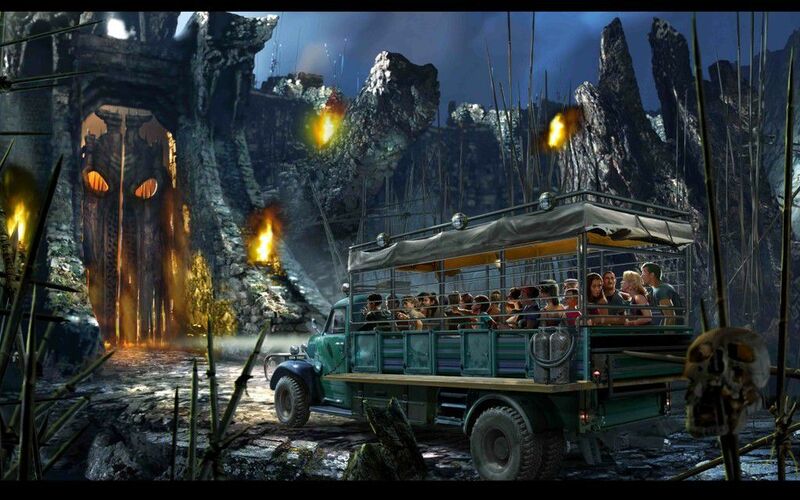 This ride is going to be Universal once again redefining what a theme park attraction can be. Also if someone finds a grammatical error let me know... I did type this pretty fast. I skipped all the spoiler stuff, but just reading the top part, this ridr sounds so amazing. It's so cool riding something with no tracks, you have no idea where it will go! I did it at Kennywood, so I cant even imagine how far Universal is going with this! When posting photos from a web source, these forums require a direct link be posted right after each. Oh, but Universal only has 3D simulator rides! The park has become so cheap and boring. Disney World for the win! And just my luck... Mako Madness has posted a video of Kong testing outdoors! If you'd like to see it check out their Instagram. (Umakomecrazy) They've promised to put up a better video of it later, and when they do I will post it here. I know you're being facetious, but people who really say stuff like that drive me insane. I think it can be applied to Disney moreso than Universal. Can we agree this part of Animal Kingdom looks on par with Six Flags America as far as tackiness goes? I have never seen SFA as tacky. Scary, unnerving, unsettling, uncomfortable, a bit creepy? Yes. Tacky? No. So, no, I guess we can't agree as to that. As far as tackiness goes, though, that photo is on par with the Big Noodle. that big noodle ended up making its way to Paul brown stadium a season ago..
Man it seems that Six Flags never gets a break on these forums. My favorite thing at WDW are the pixie dust snorters. Every time I go to Disney World I find someone with a pin collection or limited edition magic band, tell them "Universal is better" and listen to them list off every reason under the sun why you should sell your soul to the Walt Disney Company... Most of them haven't stepped foot in Universal Studios. Hours of entertainment. It's going to be so awesome when all the effects are working and the gate doors swing open as your car approaches. Your first sentence is hysterical. 10 years ago I would've called you a fool for thinking Universal was better than Disney. As of recent Universal has done amazing things. The Wizarding World of Harry Potter is just wow, can't explain. There is nothing close to the Wizarding World. I liked the Jurassic Park part but the fact you can't see much outside of the world is a big piece. Trying to think of an area that's even close in WDW...maybe Main Street? Terpy would rather be in California anytime. So not Kong... but guys get excited for Nintendo Land. They're coming to Universal Japan, Hollywood and Florida and they supposedly all have a budget of 350 million dollars. If they can do Diagon Alley for 256 million I can't wait to see what UC has in store for Nintendo. Nothing special or insider. Just an article I read. I believe per TOS we need a link or a name, right? All I'm going to say is that they better have a go-kart track themed to Mario Kart. And not an antique cars-type ride like Tomorrowland Speedway, but an actual racing track with racing karts. Too bad there's no practical way for the last-place driver to throw a blue shell and take out the leader. "But this ride is just going to be Kong 360 with a fancy facade"
Says every pixie dust snorter ever. Hmm... I hadn't herd of the different drivers. But I love the idea! Also it looks like I was spot on with riders per car. Even though the article states the area will be Mario-based, I would love to see a Pokemon sub-area if Nintendo Land hit the states. My ideas include putting in an awesome custom B&M flyer through the ruins (feat. Aerodactyl, Xatu, Siglyph, Unown and others) and maybe even a VR "petting zoo" so people can interact with some of the more friendly Pokemon (I'm thinking most of the Eeveelutions, Pikachu (of course), Emolga, Snorlax, Jumpluff, Venusaur and others could work) in a realistic setting. From my understanding, like Potter, if Nintendo land is really successful we could see more. Nintendo has ALOT of theme park worthy properties. I think Nintendo will be Universal's next really big IP and will also help them become known for more than just "Harry Potter World." And as cool as that would be, I don't see a B&M flyer happening. A highly themed small coaster is a possibility but no big outdoor coasters. I'd imagine Nintendo is supposed to be the next in line of ultra immersive lands like Diagon Alley. Yea I'm sure they'll start off with a lot of Mario stuff as that is the most well known and popular. But I would really love to see an immersive Metroid themed dark ride. Will be curious to see how they incorporate everything together in a Nintendo land though as many of the properties are quite different. Can't really picture Mario next to Metroid in the same land and having it be coherent. So, they revealed the scary monsters that you'll find on Skull Island... at least one of them has me like "nope"! It's like they're trying to make this as frightening as possible! I think there's some kind of media event scheduled for June 22, so I imagine this ride will open sometime around then. Looking forward to it for sure!